It feels like every blog post I write these days starts with “It’s been a while since my latest update!”, for which I can only apologise for how annoying that might sound. But whatever, it’s true! 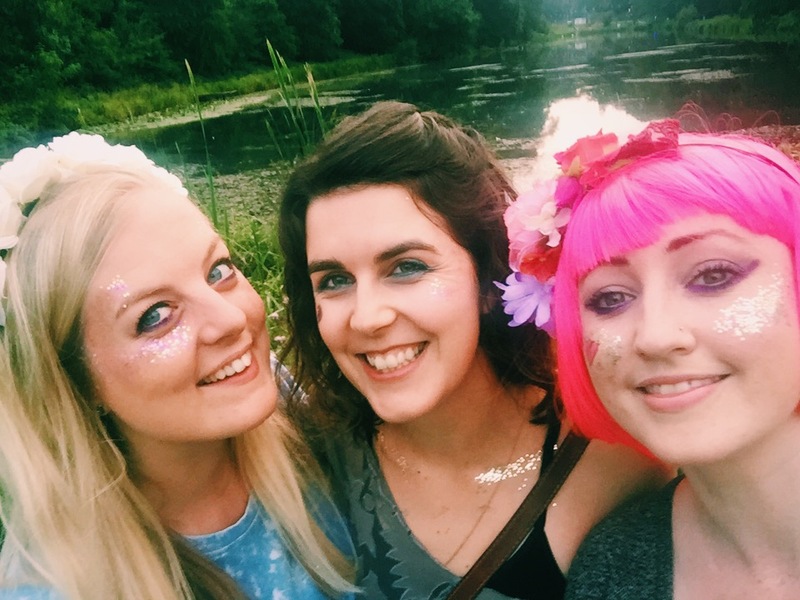 Life has been something of a whirlwind recently – SHORT RECAP OF LIFE UPDATES: I moved house, had a birthday (hello wrong side of 25), went to Amsterdam, started flat-hunting, and also… went to Wilderness festival! I couldn’t not write a blog post about Wilderness seeing as I saw and heard and tasted so many cool things. I got a ticket fairly last minute thanks to a megababe of a friend who was doing a workshop there. Thanks Bec if you’re reading! 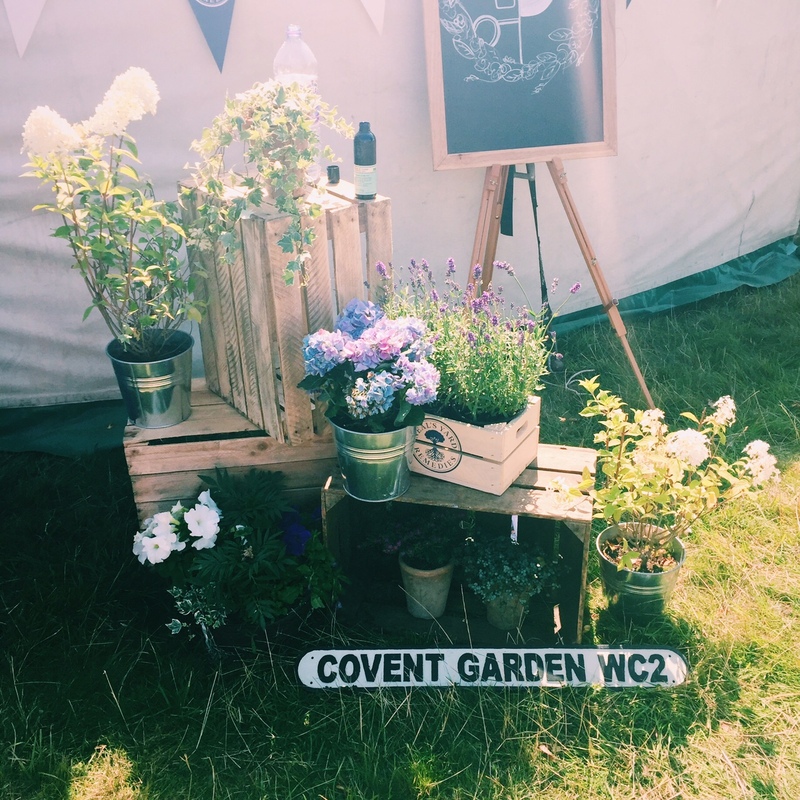 When I rocked up to the fancy Cornbury Park Estate with two of my work buddies, the sun was beating down aggressively as we hurried to put our tents up in time for Bec’s workshop. I then realised that I had never successfully assembled a tent before. Hmmm. Once I’d spent a while failing to do that, we rushed off to the wellbeing area to see what we could of the workshops and catch up with some friends over coconuts (yes I did just say that! My kind of festival…). Wilderness prides itself on being the only festival where music shares equal billing with the arts, food, literature and wellbeing programme. I may have looked at the line-up and rolled my eyes at the pretentiousness of some of the activities – “willow headdress making”, “foraging” and “transformational portraiting” were on the agenda, along with perfume-making, taxidermy, live Shakespeare recitals and ukulele lessons. 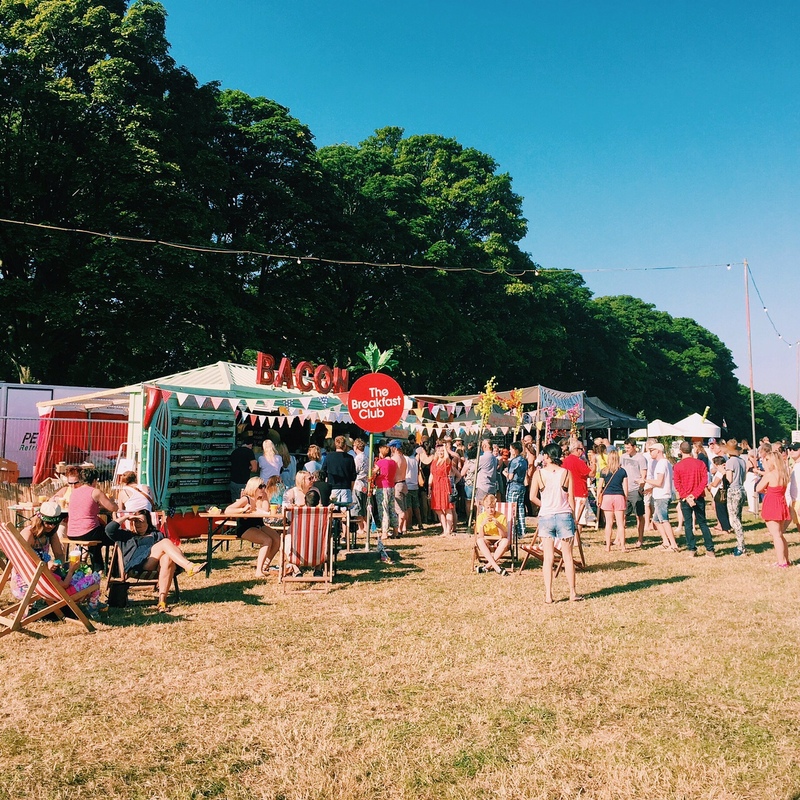 But yuppishness aside, I actually loved the two days I spent at Wilderness – it’s small enough to feel as though you can get around most of the things you want to do, but has so much on offer there’s literally something for everyone. We barely saw any music as the rest of the festival had enough to keep us entertained. And I even wished I’d got a place on the willow headdress making workshop, it looked awesome! The camping was a far cry from the squalor you might get at a bigger festival. The toilets always had toilet roll, and were 95% of the time fully usable. I can’t stress how happy that made me! The campsite was incredibly civilised – despite being set quite close to the raving valley, we managed to get at least one decent(ish) nights’ sleep. And on waking, what could be better than having a Breakfast Club van right outside your tent door to serve you eggs benedict with avocado and chorizo?! Here are some of my festival highlights. Will anyone be joining me next year?? 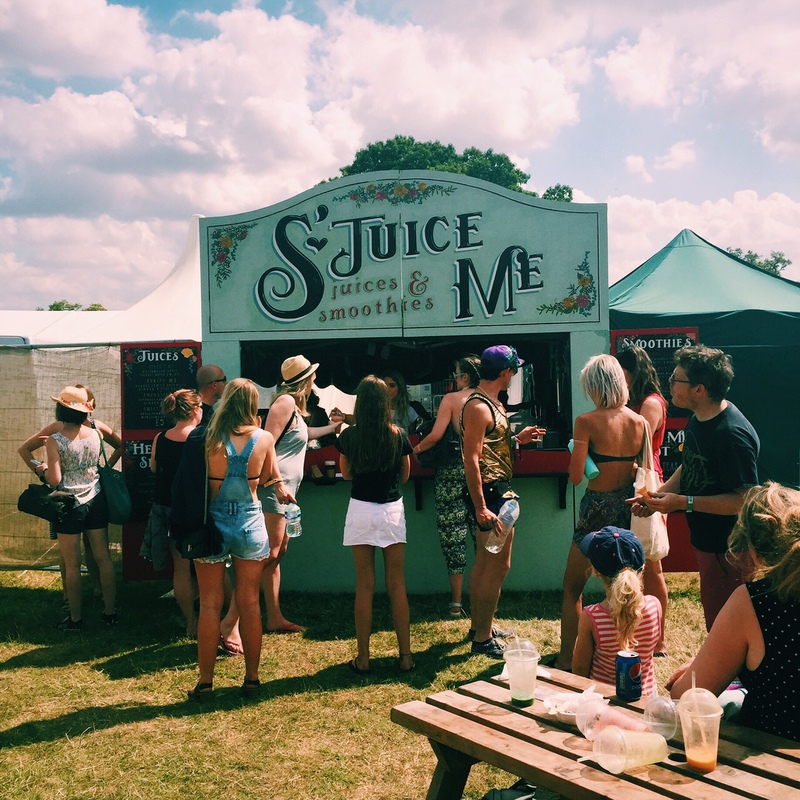 From cacao mylk-shakes to fine dining banquets, the food was the best festival food I’d ever experienced. My personal favourite was the Buddha Bowl stall, which served a new potato massamam curry with kimchi, greens, brown rice and freshly grilled halloumi on top. Nourishing and delicious! Not gonna lie though, I also made a pit stop at the Patty & Bun burger van on the last night… worth the queuing time. We didn’t get to any of the banquets, but for the serious foodie there were pop-up restaurants from the likes of Duck & Waffle, Moro, Petersham Nurseries, Hix and Daylesford Farm. If I go next time I’ll be booking my place at the supper clubs way in advance! My favourite performance area was the Forum, where poets, actors and writers would perform their work to a 360° audience sat on benches and comfy sofas. 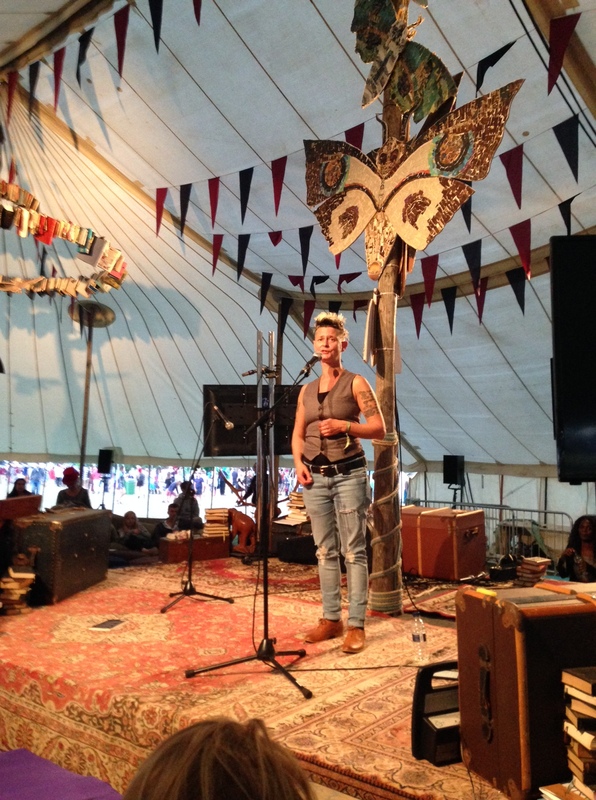 We saw some amazing performance poetry from the group Apples & Snakes, and their headline act Zena Howard literally blew me away with her powerful stories. 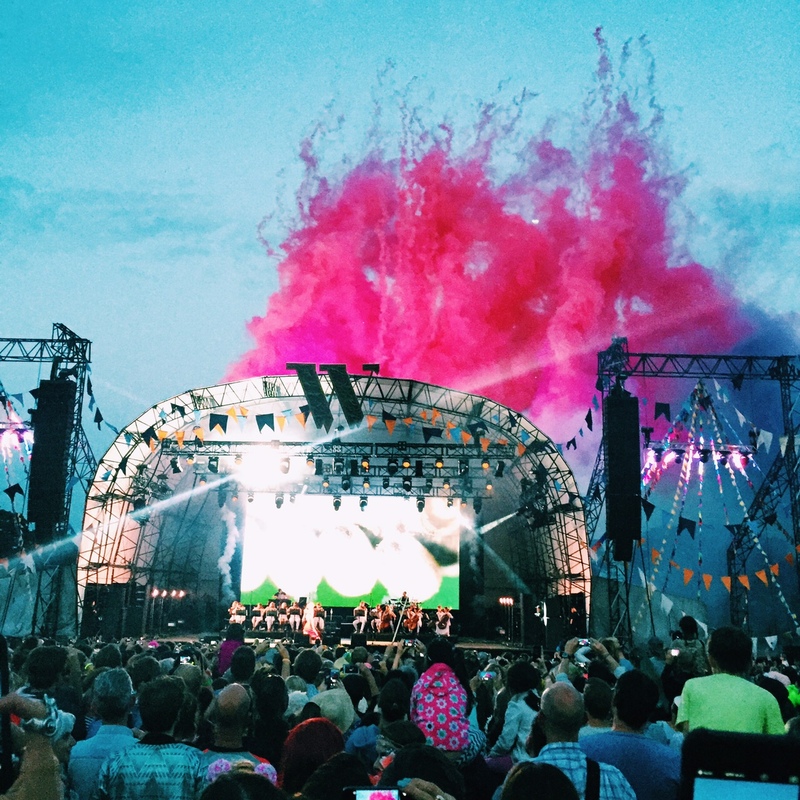 Music-wise, we saw Björk perform on the Friday evening. I’m not massively into her music, but the performance and the visual effects were stunning. The crowd went all out for her – I saw swan dresses, crazy hats, plenty of shiny leggings and an insane amount of glitter. I didn’t go to as many talks as I would have liked to, just because there was so much to see and we had to pack everything into two days. We did manage to get front bench seats at a fabulous talk in the Vintage Literary Tent with author Deborah Moggach, talking about how to adapt books for the big & small screen. Deborah is the author of many books including The Best Exotic Marigold Hotel and has written tons of screenplays such as the Keira Knightley adaptation of Pride and Prejudice. She was incredibly sharp, quick-witted and gave us a really interesting insight into the glamorous world of screenwriting. 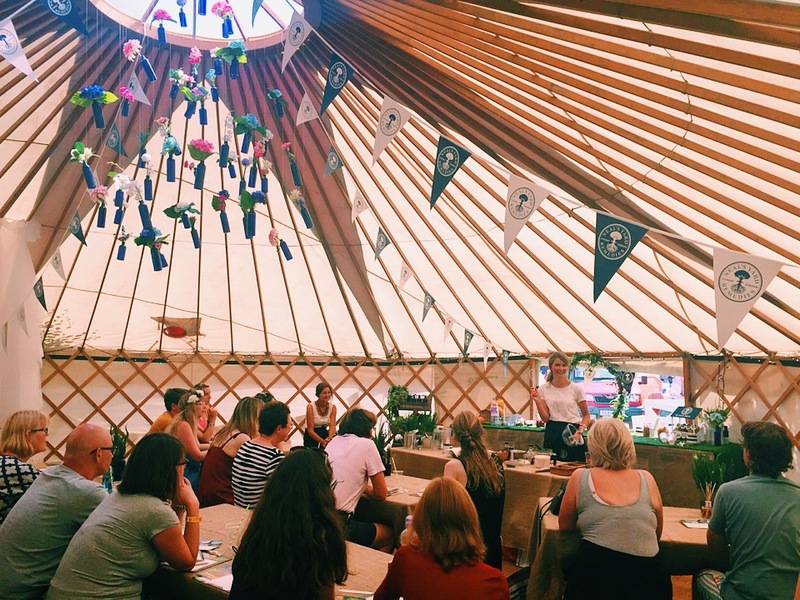 We also hung out in the Wellbeing Area a lot, and as well as seeing friends Rebecca Campbell and Addictive Daughter do their workshops, we also hung around outside the Big Yurt where the Hemsley + Hemsley sisters gave a Q&A and demo. Next time I’ll definitely be booking in some yoga classes – they sold out pretty quick but we did manage to bump into Julie Montagu who was holding a lakeside Flashmob Yoga session just as we were leaving! I purposefully didn’t take a lot of money as I’m technically meant to be saving at the moment (boring). But I did treat myself to a few things in the Neal’s Yard tent including their limited edition Festival Favourites Kit. I’m a sucker for their pretty blue bottles – as my previous blog post can attest! We also spent a while browsing the Jaffa & Neale bookshop, which was right next to the literary tent. So. Many. Amazing. Books. I now have a list that is too long, even for someone who works in publishing. 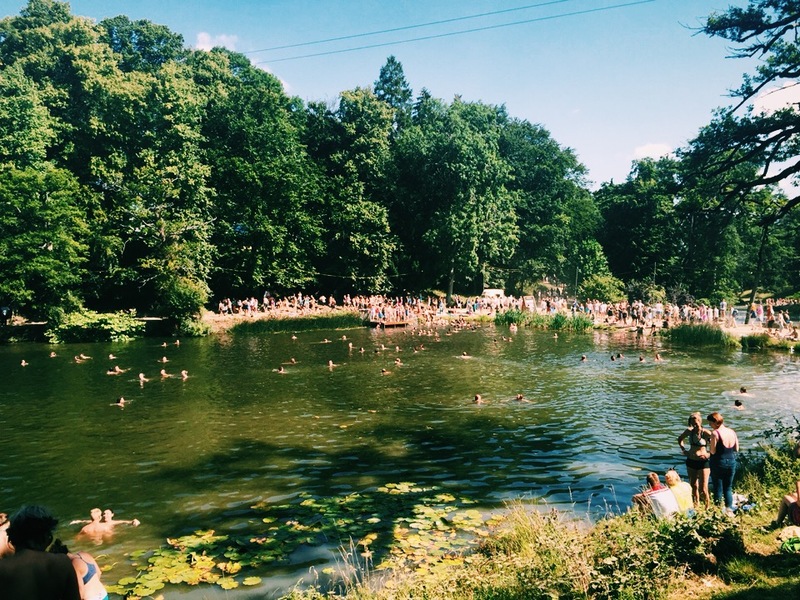 But the best thing about Wilderness…? Wild swimming! 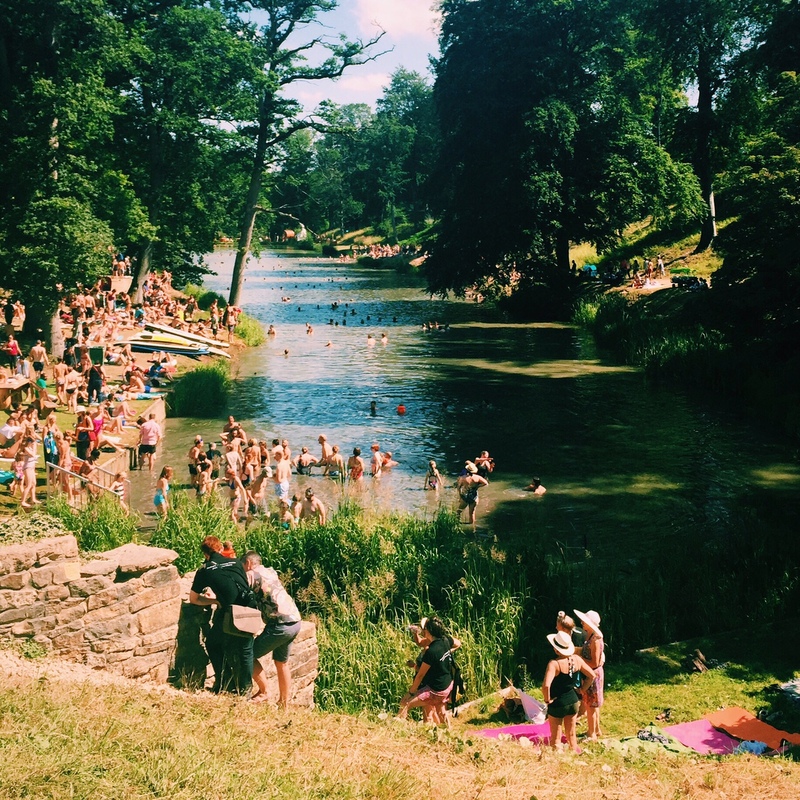 We may have missed out on tickets to the infamous Lakeside Spa, but everyone took a dip in the lake to cool off. Although you had to make your way through the reeds and mud, once you hit the water it was perfectly clean and refreshing. The weather couldn’t have been better for it! I may still be finding glitter in my hair two weeks later, but it was totally worth it to experience the magic of Wilderness.